Perfect with all kind of hot and cold beverages with no metallic aftertaste; coffee, frozen latte, cocktails, smoothies; the possibilities are endless! 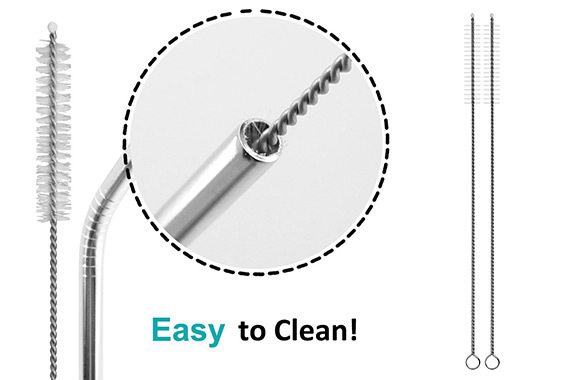 Improve your quality of life without damaging the environment! According to recent studies, overall, about 80% of all litter in oceans is made up of plastic! 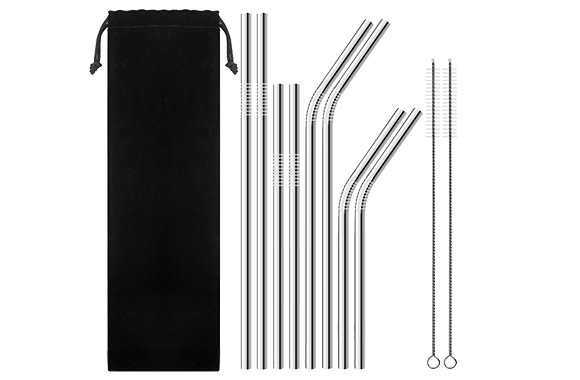 The plastic straws we use daily or even occasionally may not seem like much but collectively represent a lot of single-use waste. 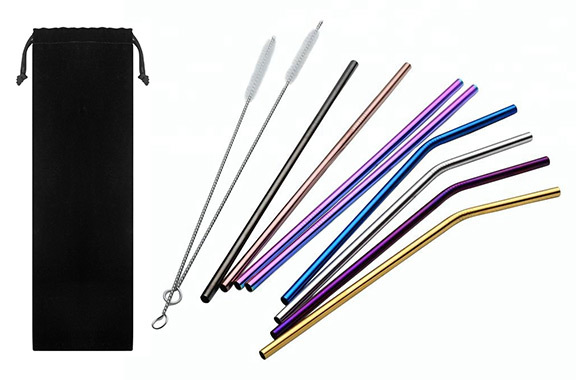 Designed for long-term use, unbreakable and easy to clean, these stainless steel straws allow you to sip all your favourite drinks in a sustainable way and always in style! Help reduce waste, save money and minimize your carbon footprint on our planet!